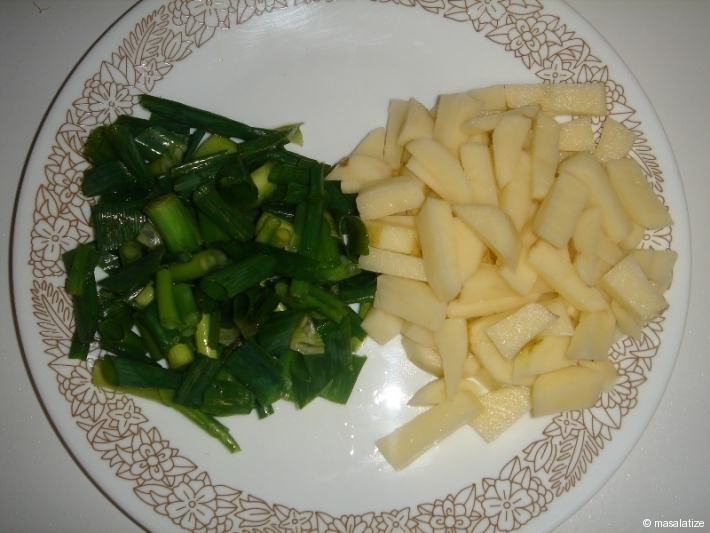 Cut the green onion and potato into small pieces. Put black jeera to crackle in oil. 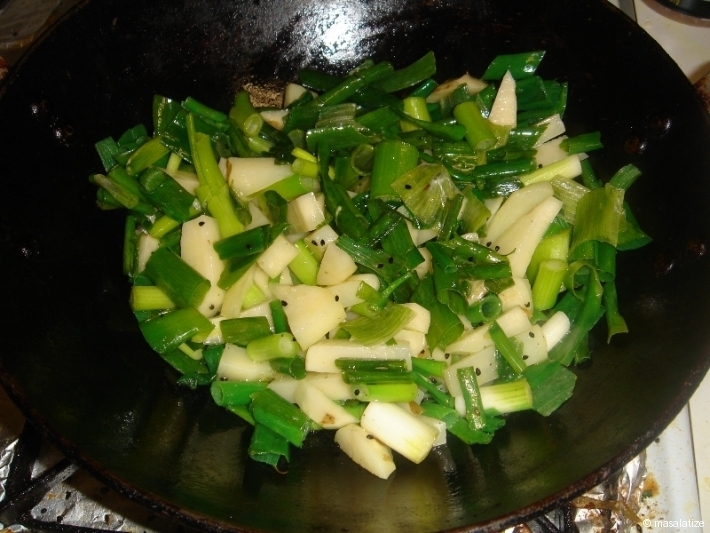 Add the green onion and potato and fry it . Then add turmeric powder, salt and sugar to taste. Cover and cook till it is tender and ready to serve. 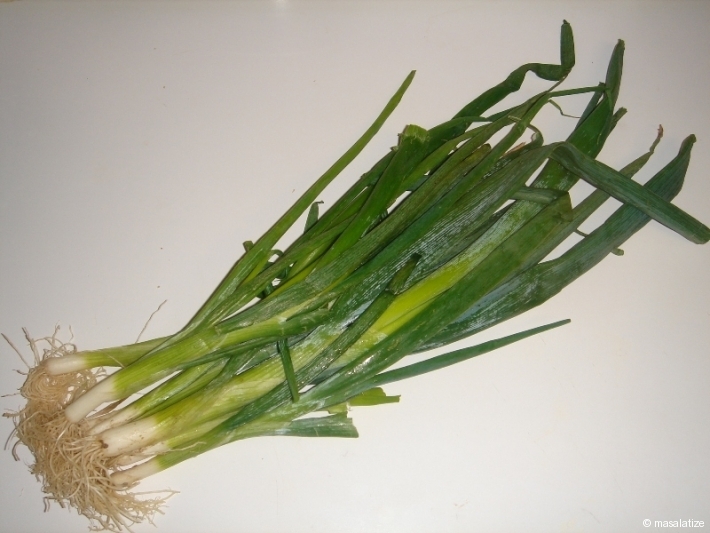 I am a new fan of your site! 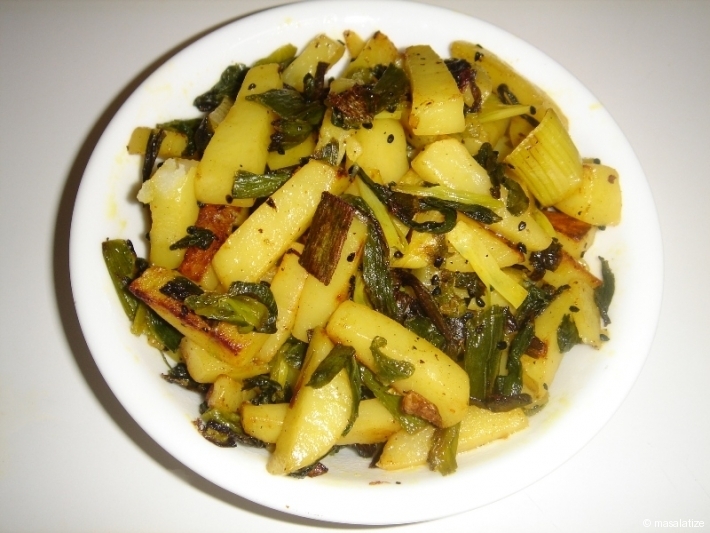 As a vegetarian who LOVES Indian food, I am always looking for new recipes. I will try some of these right away!